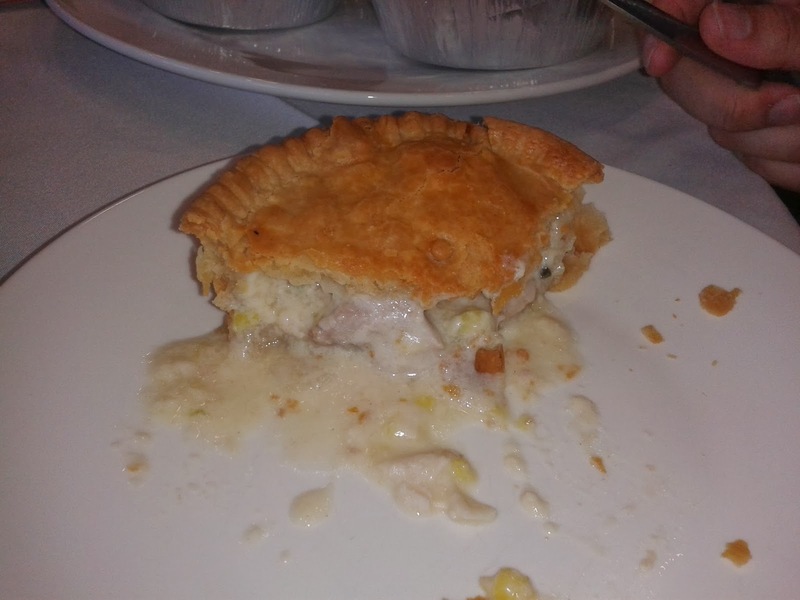 continue reading "A Cheesy (Pie) Buffet"
continue reading "Mad Not to Try this Scrum-ptious Pie"
The problem with being a Pierateer is that there are just so many delicious pies out there to review. 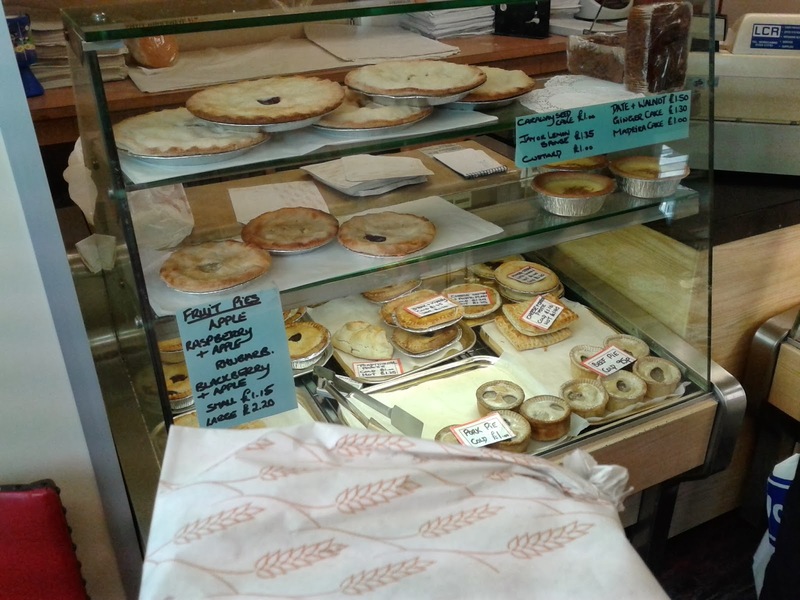 Often a Pierateer will be found grumbling about their 'pie backlog' which is the list of all the pies we have eaten but have yet to review. Mine currently stands at about 8 'must do' reviews, some of which I have been planning to write for about a year. You know how it is, there is just too much to do in life and if there isn't too much to do then you're just too tired! If only Pierate was a paid job then we might just about have time to write all the reviews! I am currently trying my best to not eat any new pies so that I can get through my backlog, which is extremely difficult! The reason that I am saying all this is because I am trying to build up my excuses for why this review is so late. Normally I can get away with taking a month or two to write a review, no one will know when it comes to reading it! However, in this case I am trying to review some mince pies of the spiced fruit variety. The trouble with mince pies is that they are far too seasonal. A month on from Christmas and no one is going to believe I just picked these up from Sainsbury's. Indeed I didn't actually pick them up at all. 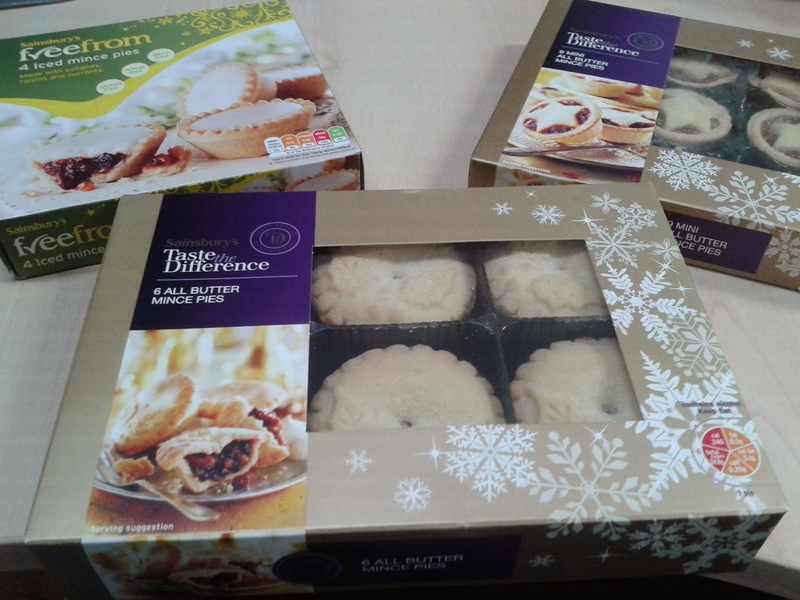 @SainsburysPR on Twitter were kind enough to send a box of pie boxes for us to review. But it is never too late to say thank you to them and add another mince pie to our pie rankings. This is a sight for sore eyes! And I certainly do owe Sainsbury's a thank you. These were not just any mince pies, Sainsbury's had spared no expense by sending two boxes of Taste the Difference mince pies, one box of Gluten Free iced mince pies and one box of Taste the Difference Ecclefechan mince tarts. I will say straight away that despite not being pies the Ecclefechan mince tarts were actually delicious! 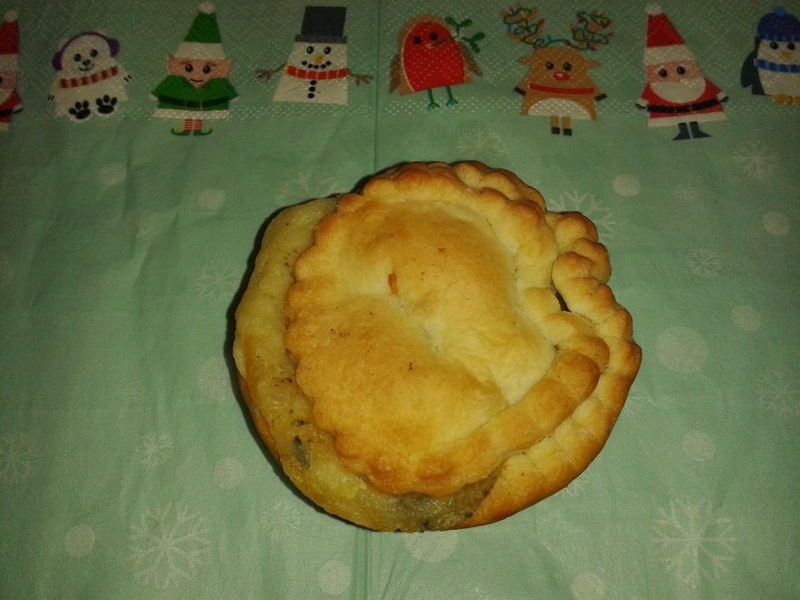 They had a lovely mix of flavours which included nuts making them a bit different to mince pies. However, of course, the tarts were not really something I can officially review what with this being PIE-rate. The Gluten Free iced mince pies were also tarts really. They were intriguing creatures being somewhere between a mince pie and Christmas cake. The icing made them very sweet and was nice for a change. 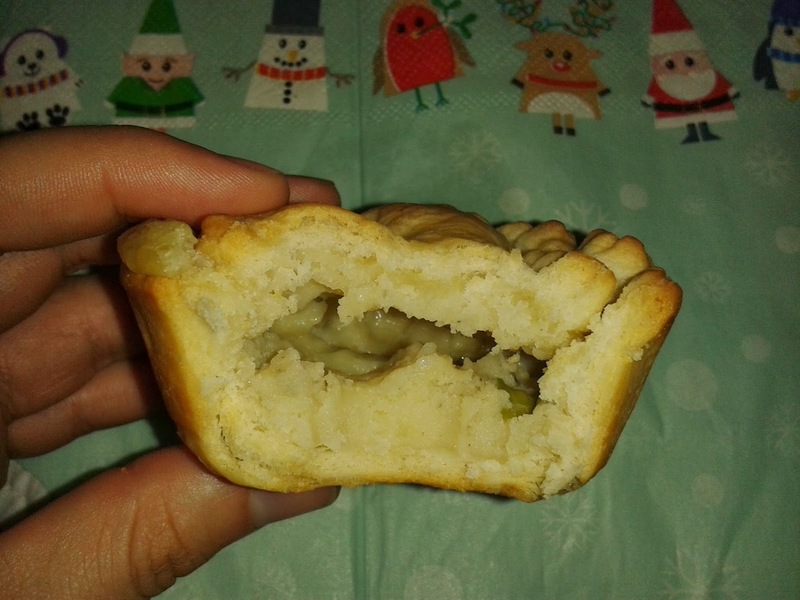 For Gluten Free pastry our Gluten Free reviewer Pierateer ALE said this was a decent attempt, but we would have liked to see more pastry by giving these a lid! You will see that the other two boxes are genuine pies so get official scores. Firstly the regular TTD mince pies. The butter pastry was lovely and crumbly but at the same time not at all dry. The mince meat was amongst the best I had tasted all season with some nice variation to both texture and taste throughout. This kept the pie interesting from beginning to end of the consumption process. They looked every bit the festive treat they are supposed to with great packaging, Colour and Condition. These were tall pies so had good Capacity. For the mini versions they looked a bit different due to the star-shaped lid which made them quite appealing. 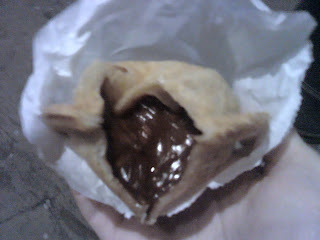 The pastry to filling ratio was very decent despite these pies being small and not quite fully encased in pastry. The pastry tasted a bit different in these, it was more crumbly and tasted a bit more like shortbread than pastry. In this sense I think I preferred the pastry on the full sized version because the mini version was just too Crunchy. 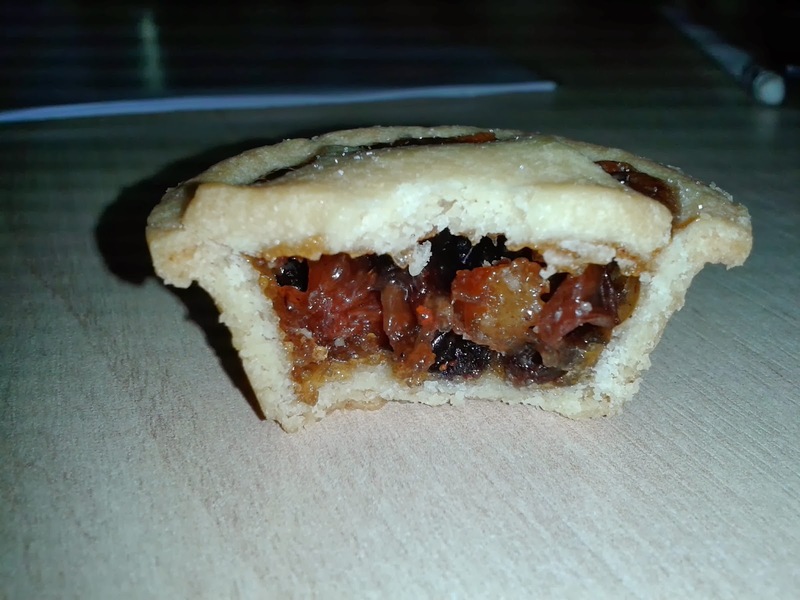 The mincemeat was again very good, I couldn't Taste the Difference between the two TTD fillings. What made me realise that these were very good pies was the fact that everyone wanted to eat them. I shared them at work and they were gone within a matter of moments. The mini versions went down particularly well, given their small size people are more likely to be tempted. I would certainly consider buying them next year, despite the higher price for these premium pies. They would be ideal for any Christmas gathering. We have given the larger version 'Pierate Recommended' status. Good work Sainsbury's! 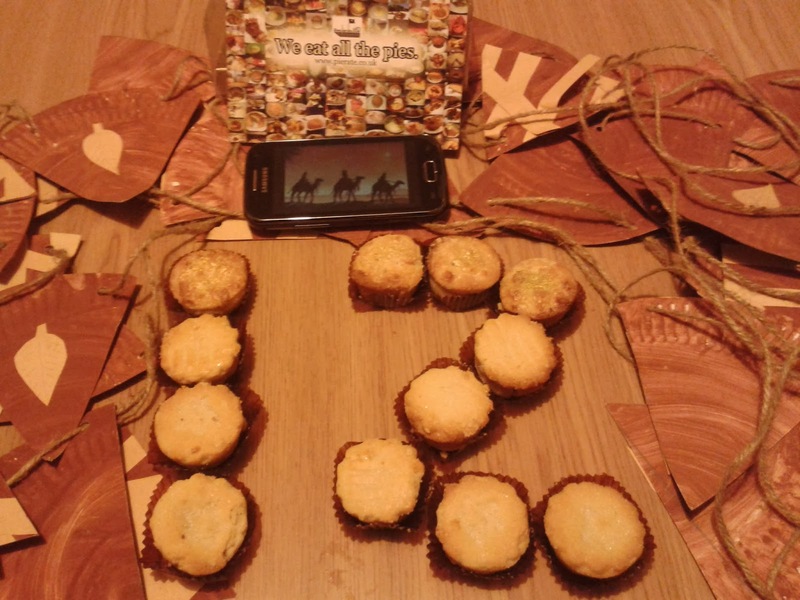 continue reading "I Wish It Could Be Christmas Everyday!" continue reading "Don’t skip this kangaroo pie"
continue reading "Squirrel Pie: Will I go nuts for a Nice Wild Squirrel Pie?" "We three kings of Orient are, bearing gifts we traverse afar, field and fountain, moor and mountain, following yonder star..."
Some famous words there from the Christmas Carol "We Three Kings" and the Bible remind us of the three gifts that were presented to baby Jesus in the Bible's account of the Christmas story. 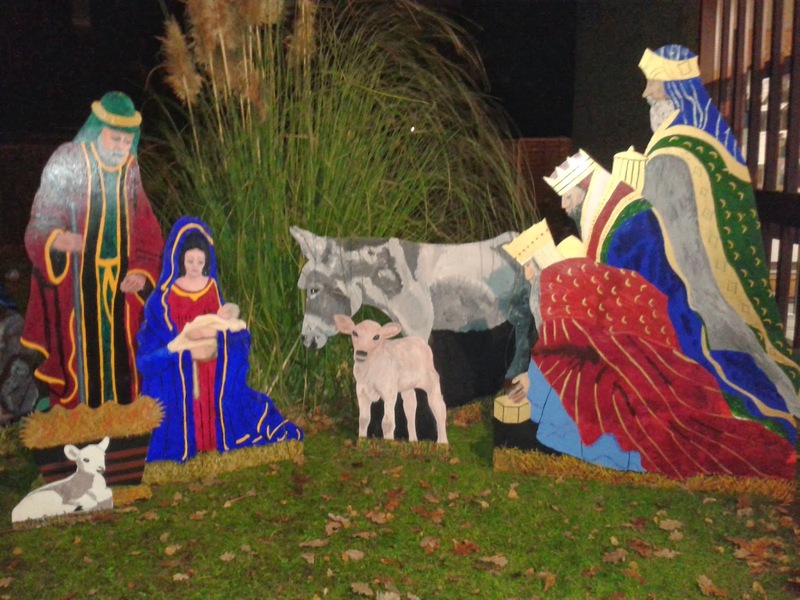 I'm sure many of us will remember the three gifts presented - Gold for a king, Frankincense for a Priest and Myrrh for someone who would ultimately die on a cross - but what if these gifts were given a bit of a pie twist? After all, wouldn't you be intrigued to try a gold topped pie, a Frankincense Oil infused pie and a Myrrh Oil infused pie?! These Fortnum and Mason "Three Kings" Mince Pies feature in our '12 Pies of Christmas’ video! 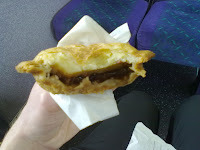 These pies were quite potent when it came to flavouring, with quite a bit of nut in the mincemeat filling. That said, there wasn't a great deal of filling in them. They were about 75% pastry and 25% filling, which for us Pierateers is not at all satisfactory as a filling:pastry ratio. 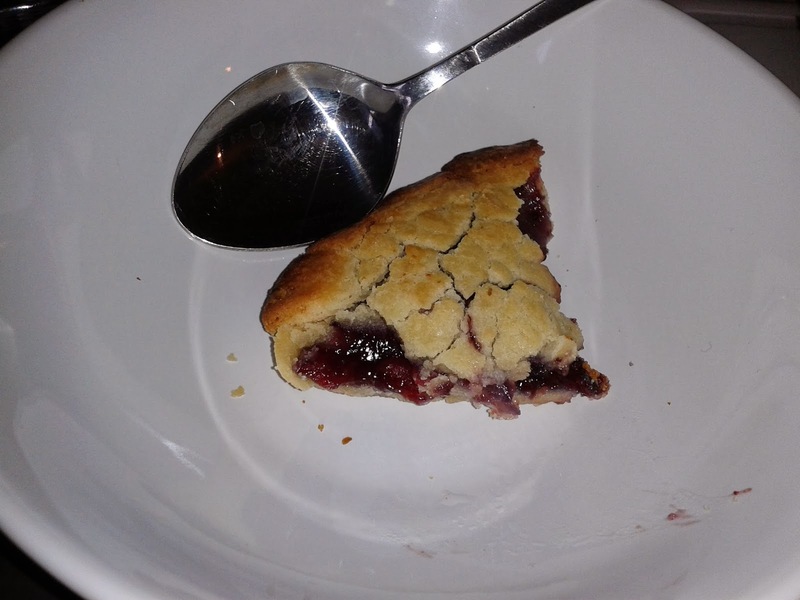 With the pastry being quite crumbly and dry, this further took away from the score this pie would achieve, as the filling that was in there was not very fruity and not very tasty. While the novelty factor of the gold topping was great - they would certainly create a real talking point at your Christmas pie party - the rest of the pie failed to live up to the golden billing. I'd not want to eat one of these again. The frankincense oil infused pies certainly gave you a minty kick that was hard to miss. 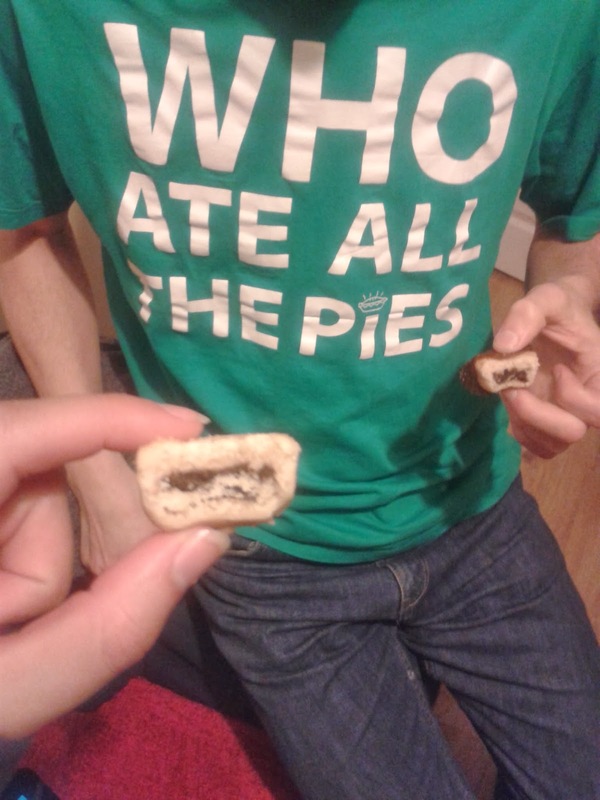 It did feel slightly like I was eating some minty toothpaste in a pie but I didn't dislike this unusual factor. Sure, I wouldn't want to eat a large pie of this flavour, but for a mini pie bite, and the fact I was eating a frankincense infused pie, I couldn't really complain. 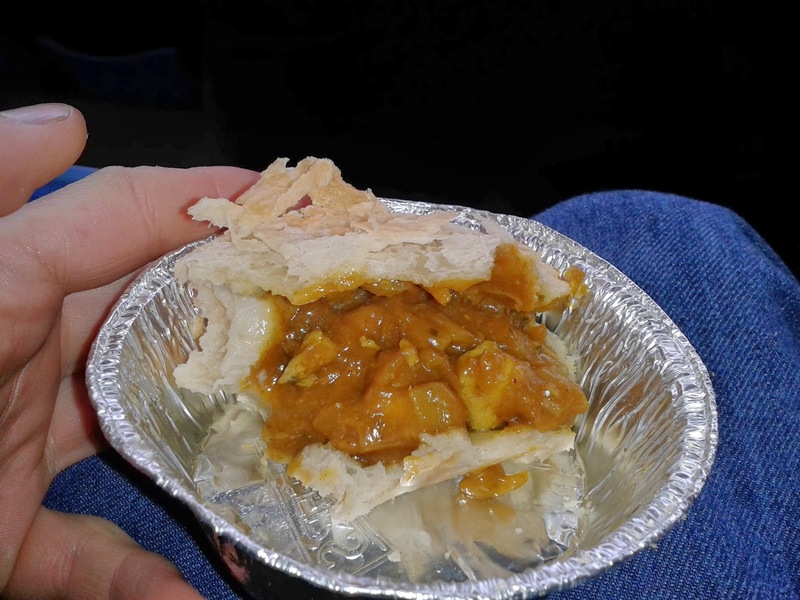 The filling certainly tasted nicer in this pie than the gold one. 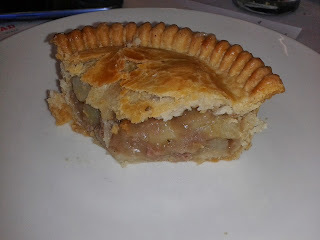 However once again the pie was about 75% pastry and only 25% filling, which was probably a good thing in this pie because the filling flavour was so strong that I really needed that extra pastry to cope with the intense filling flavour. While I wouldn't regularly go for it, I might eat this pie again if given the option. Again the Myrrh pie suffered from poor filling:pastry ratio syndrome! 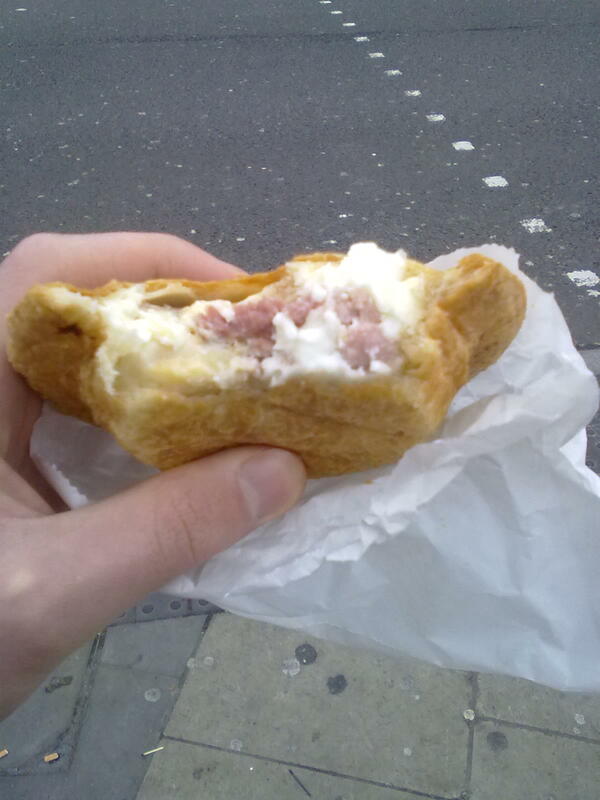 There was a lot of quite dry pastry surrounding quite a thin layer of filling. It was again very spice heavy and the strong flavour meant I wouldn't want to eat much of it. Similar to the Frankincense pie - edible but not really enjoyable. In summary, all these pies suffered from being heavily pastry focused and therefore having a very poor filling:pastry ratio. 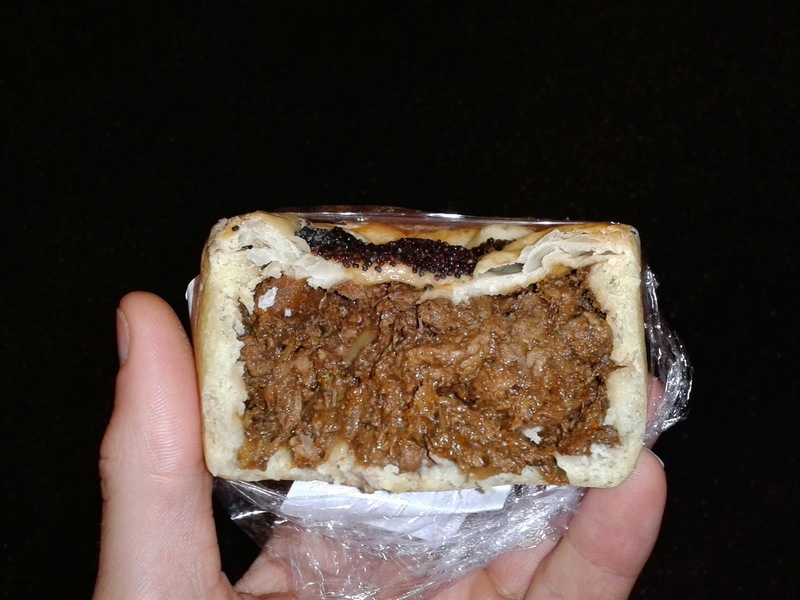 In some of them, this did at least help balance out the intense filling flavours you got from the pie but at £1 a pop, for a pie you could easily consume in one little bite, these really were far from good value for money. I'm not saying I'm surprised - they were from Fortnum and Mason after all! - but if I were to buy them again, it would certainly be for the "Three Kings" novelty factor rather than the edibility factor, and for me that is not a good enough reason to give these pies anywhere near a good score! This means these pies unfortunately really aren't fit for a king – so I think the Three Kings were very wise in choosing their gifts for baby Jesus. A great, novel idea by Fortnum and Mason, but not well executed and I would say these really are only for decorating the Christmas table. 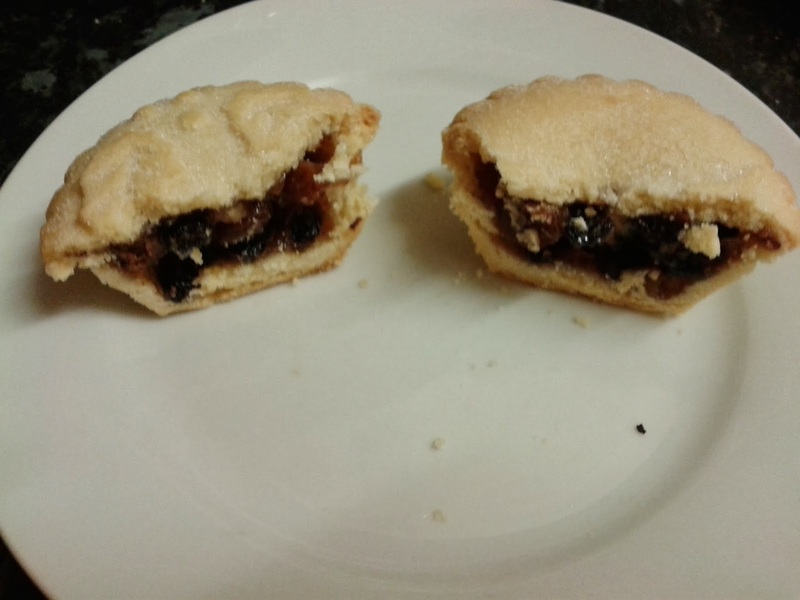 continue reading "Fortnum and Mason Three Kings Mince Pies"
So there we have it. Some top pies for a top Australia Day! Have a great weekend! continue reading "Australia Day – Best Aussie Pie"
L-R: Mark Beeston, Matthew O’Callaghan & Stephen Hallam of Melton Mowbray Pork Pie Association organisers of the British Pie Awards launch the 2014 Awards. Roll up! Roll up! 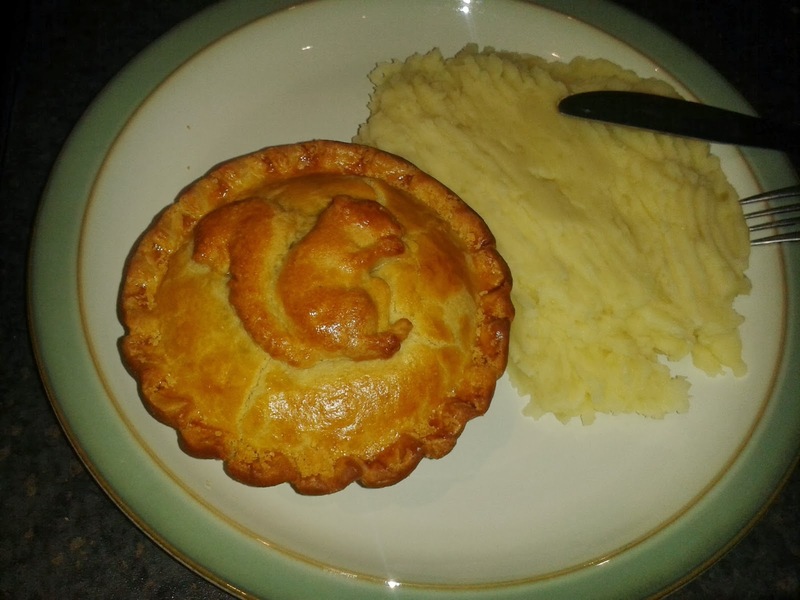 Entries are now open for the British Pie Awards 2014! Yes, that’s right. 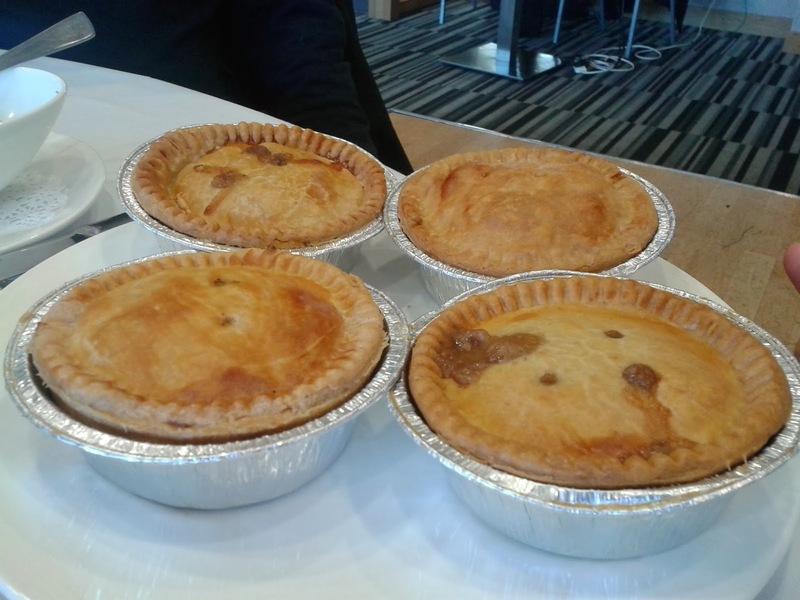 The British Pie Awards – who famously coined the definition of a pie as being ‘‘a filling totally and wholly encased in pastry” – are now open for entries. And rumour has it that they’re hoping for the grand (thanks) total of 1000 pie entries. Hey, what’s more, Pierate are thrilled to be a judge at this year’s event! 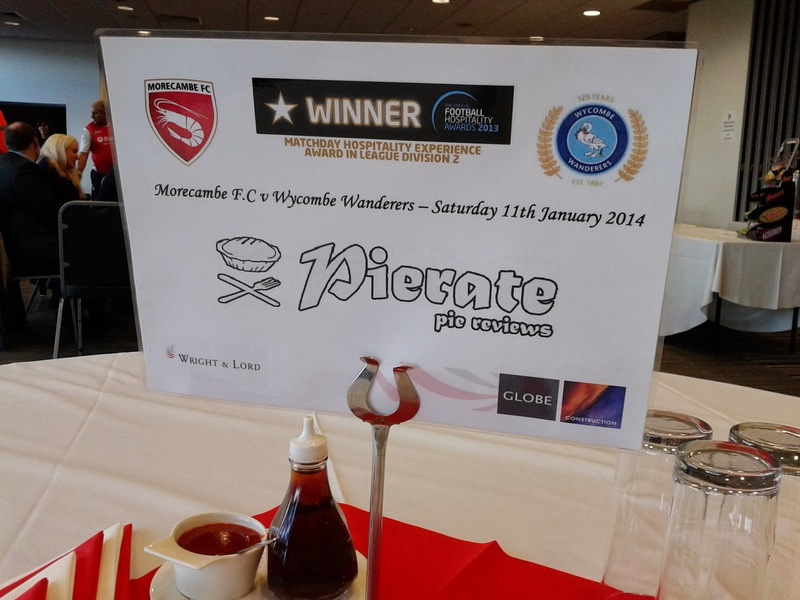 Last year’s pie extravaganza – which Pierateers RAS and SJL both volunteered at - attracted a stunning 983 entries. 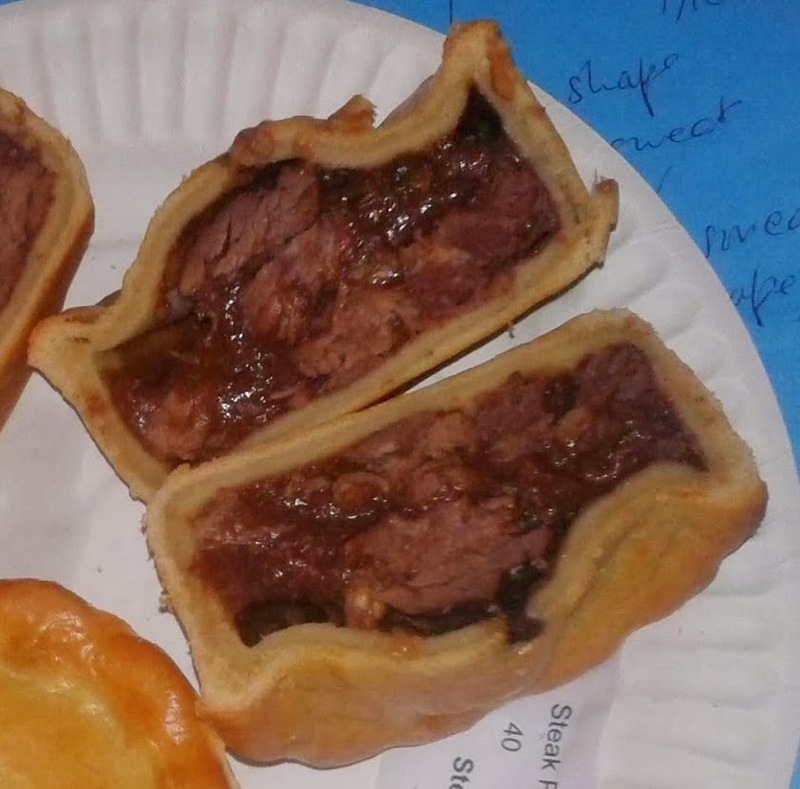 Melton Mowbray Pork Pie Association (MMPPA) will be hoping to smash that record again at the event on Wednesday 30th April 2014 in St Mary’s Church, Melton Mowbray (although apparently the provisional limit is 1,000 pies due to “the logistics of tasting that many pies in one day”…). This really is the festival of pie, if ever there was one. There will be 19 different categories (we didn’t even know that was possible) this year, including a specialty class of “Pie fit for a hero” to commemorate the 100th anniversary of WW1. The specialty class is in recognition of the great food produced by the chefs and caterers associated with the British Armed Forces - who the Awards are also encouraging to enter this category this year. 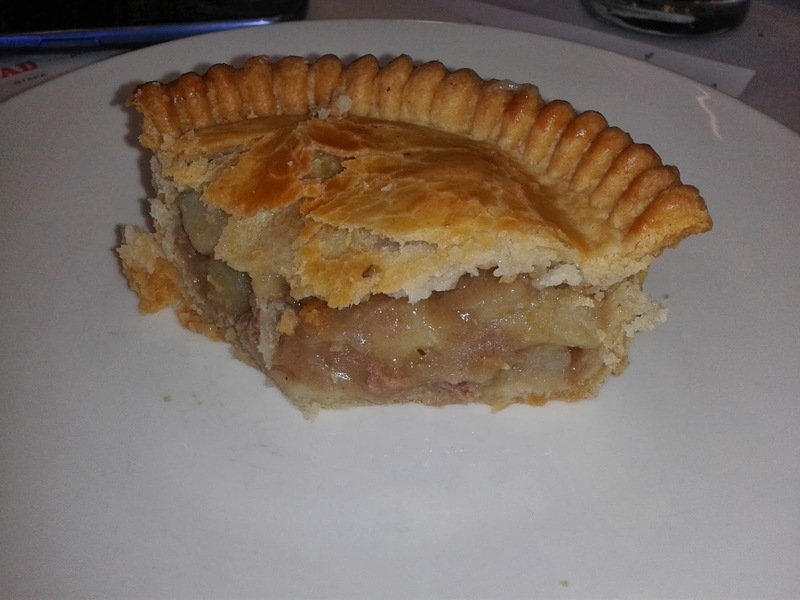 According to the British Pie Awards website, entries into this category don't need to be commercially available - so the pie's the limit with innovation! We couldn’t agree more, Matthew. Check out the second-to-bottom judge on their list! We’ll see you there! Just in case you were still in any doubt about whether to attend, here's a video we made of the event last year, including the epic pie hymn! 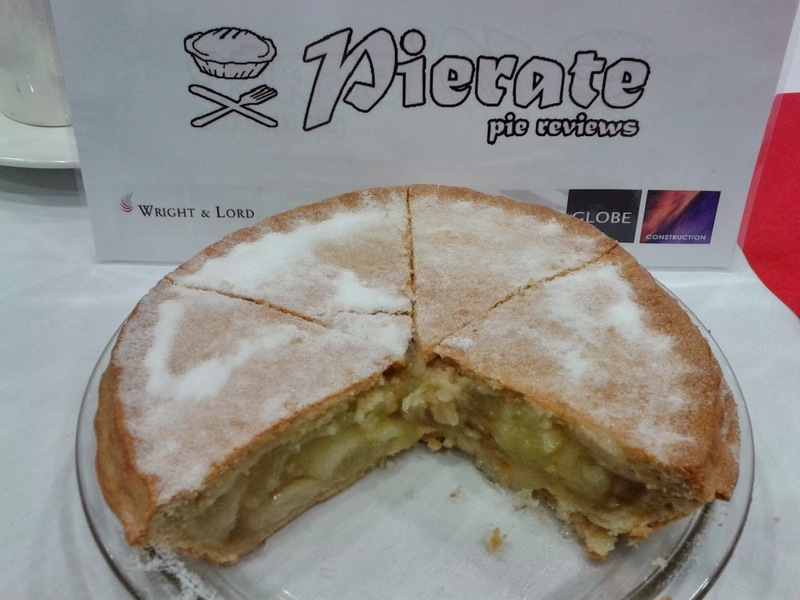 continue reading "British Pie Awards 2014 – We’ll see you there!" 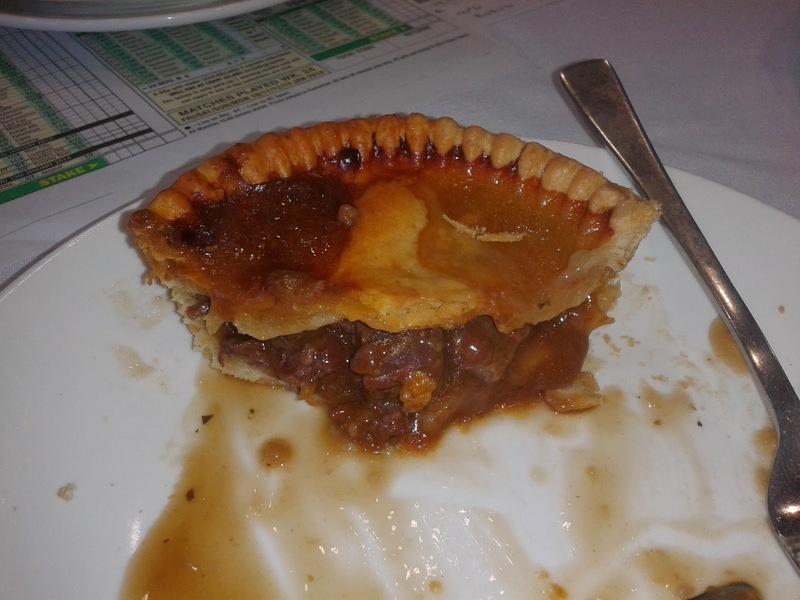 continue reading "Morecambe FC Apple Pie scores at half time"
continue reading "You're So Cold, But I Lovett"
continue reading "Do they bake pie well at Thurlwell’s?" 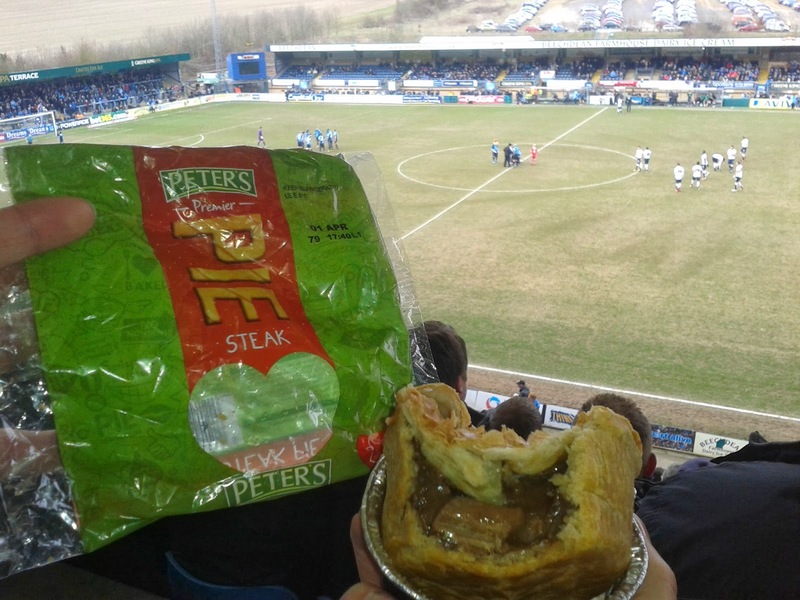 continue reading "Wandering How Good the Pies Are at Wycombe?" World Record attempt for most people to review a pie in one sitting and the awarding of our first “Pierateer in Training” Badge! This weekend our very own Pierateer RAS is being seconded from the Pierate Ship for the weekend to cook for City Church’s Student Weekend Away. Cooking for approximately 100 people – predominantly University students – our Pierateer will be once again looking to cater for the masses with classic mass-catering dishes such as sausage casserole, lasagne and a Roast Chicken dinner! But alas, you say... what about the pies?! Well don’t you lose any sleep over it guys and girls! The pies are definitely on the menu – for Saturday night is pie night as we rate some apple pie! 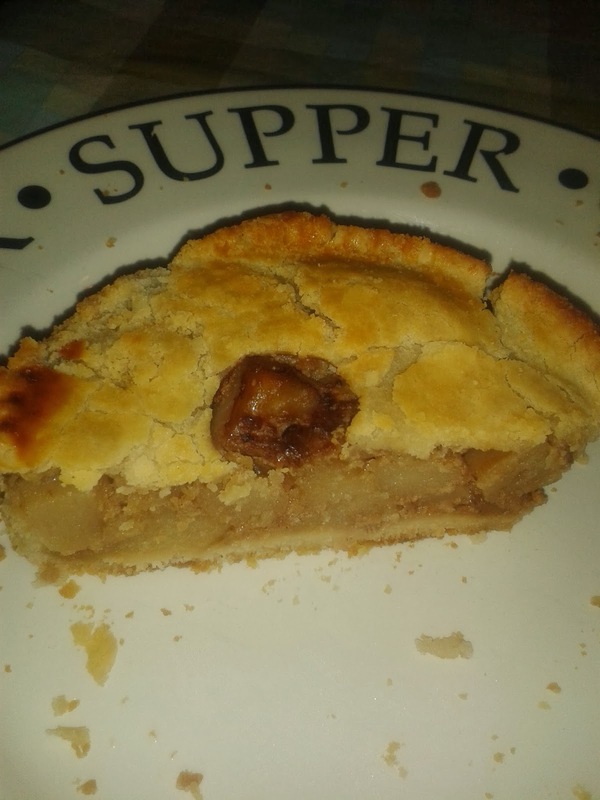 While the exact brand and type of apple pie being consumed is still a closely guarded secret, we can confirm that this is a new pie that the Pierateers have not yet rated! How will it fair under the 7 Cs, we wonder, at the first #PieFest of 2014?! Where will it end up in the Pierate Pie Rankings?! All will be revealed! And as a little incentive, we will be awarding prizes to those who provide the wittiest summary comments, as well as our first “Pierateer in Training” Badge for one of the attendees of the Weekend Away. 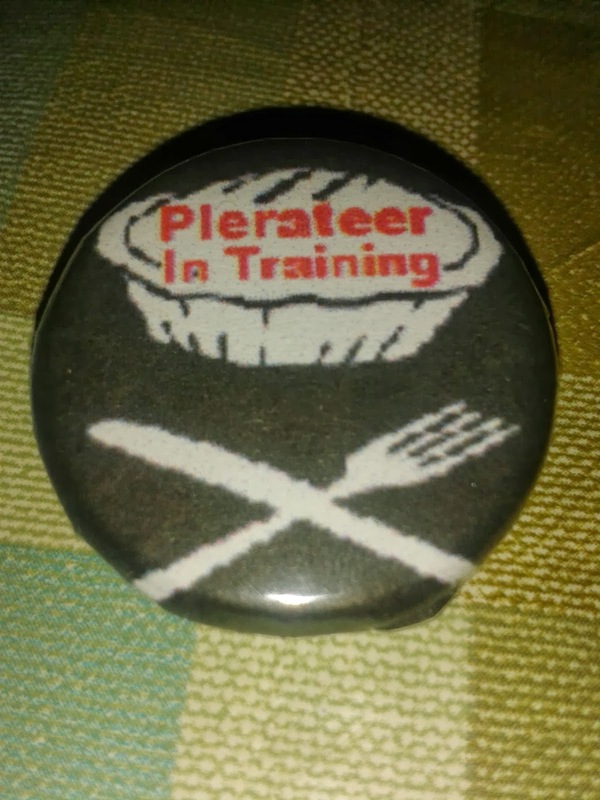 We have @NikSpeller to thank for the idea of creating some “Pierateer in Training” badges to indicate that person has received some expert coaching from the Pierateers on how to rate a pie and is well on their way to becoming a Pierateer themselves. Nik himself will hopefully be undertaking some training in just over a week and we have already seen Ashleigh and Olivia from Ashleigh Auld Consulting meet with the Pierateers to review pie at Canteen London. They too will receive badges in due course! 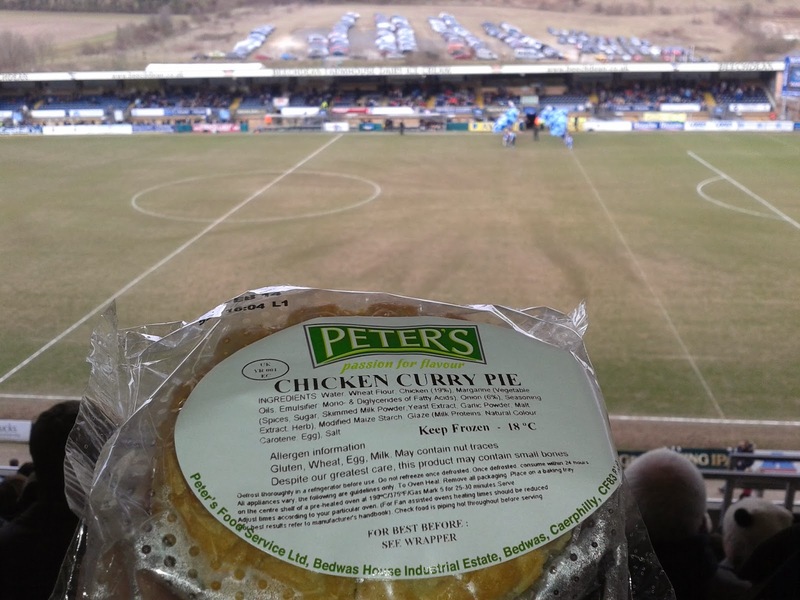 We look forward to revealing the pie of choice for the first #PieFest of 2014 and will keep you posted on the event on Twitter via @pierateers and the follow up review of the pie and everyone’s comments coming soon! continue reading "Pinning our hopes on a World Record"
continue reading "Hungry for pie-eating success? Pie eating Competition!" 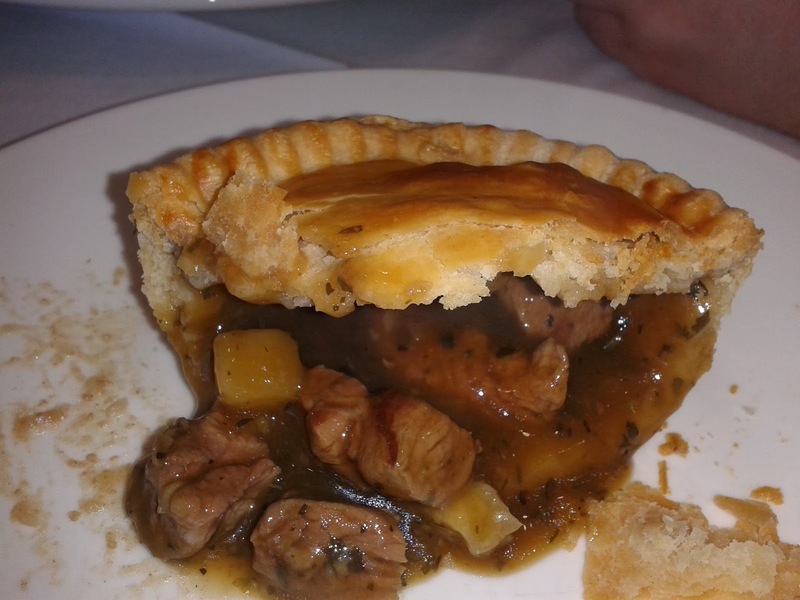 continue reading "Best Steak Pie in Scotland"
When it come to pies I always have a good ap-pie-tite. I just can't get enough which you will know if you have ever read the poem 'Memoirs of a Pie Addict'. Scotch Pies are no exception to this, I have reviewed a few in order to build up our list of the best Scotch Pies. 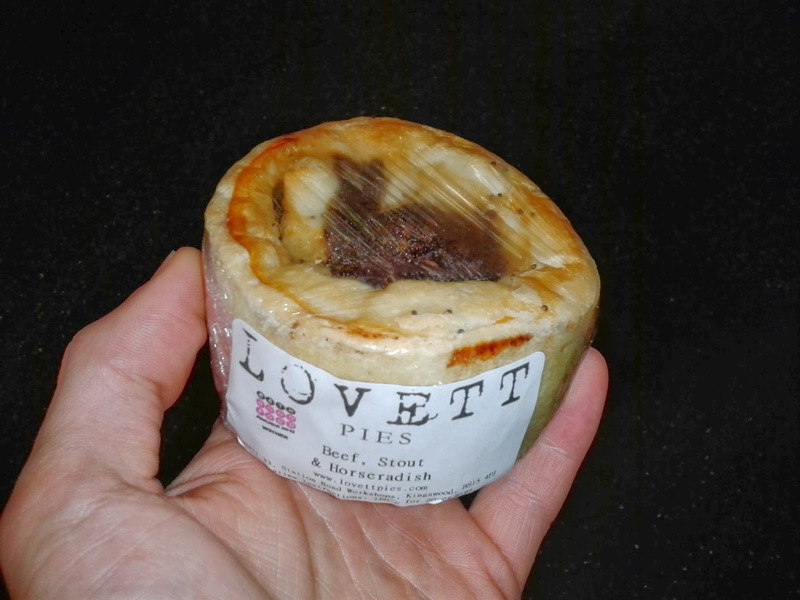 The Scotch Pie Awards are the obvious place to start when searching for the best, we have reviewed the 2013 World Scotch Pie Champion and the 2011 Champion. Now we review yet another World Champion! Albeit one which is slightly living on past glories. I give you the 2006 World Scotch Pie Champion produced by Bon Bon Cake Shop in Airdrie! It might be a bit last decade but they still proudly remember their award on the signs both inside and outside of this small bakery. 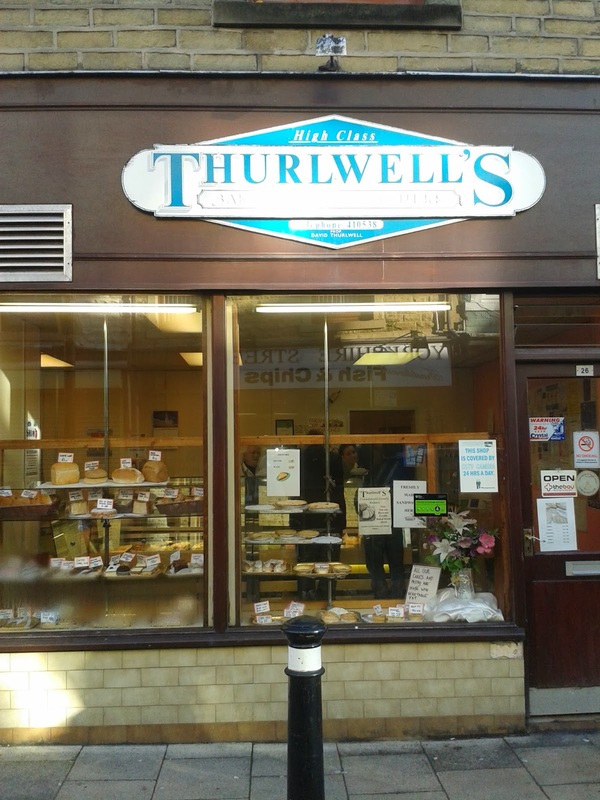 It was a nice place to visit, despite the name it isn't primarily cakes, they do specialise in pies too with a range on offer. The lady in the shop assured me that they still make them on the premises. 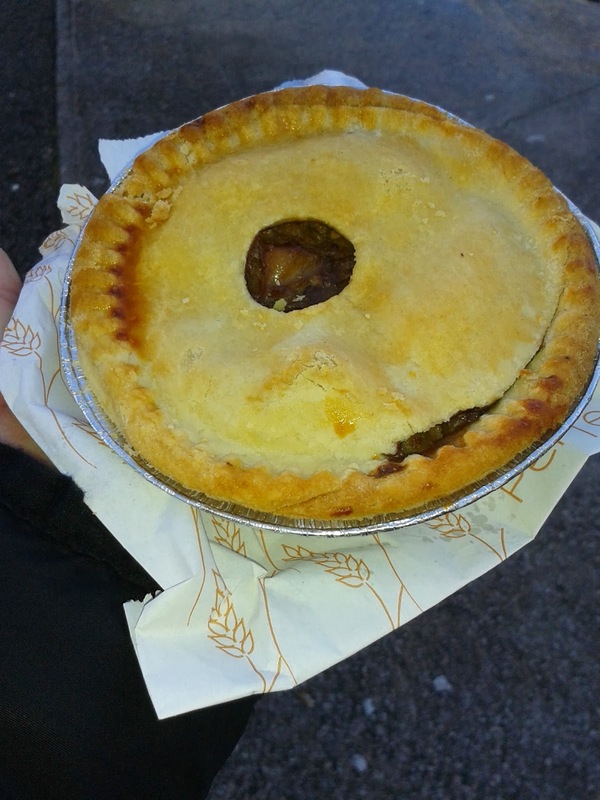 I part with 90p in order to get this pie to take away hot, which is decent compared to most hot pies but you can get Scotch pies Cheaper in these parts. 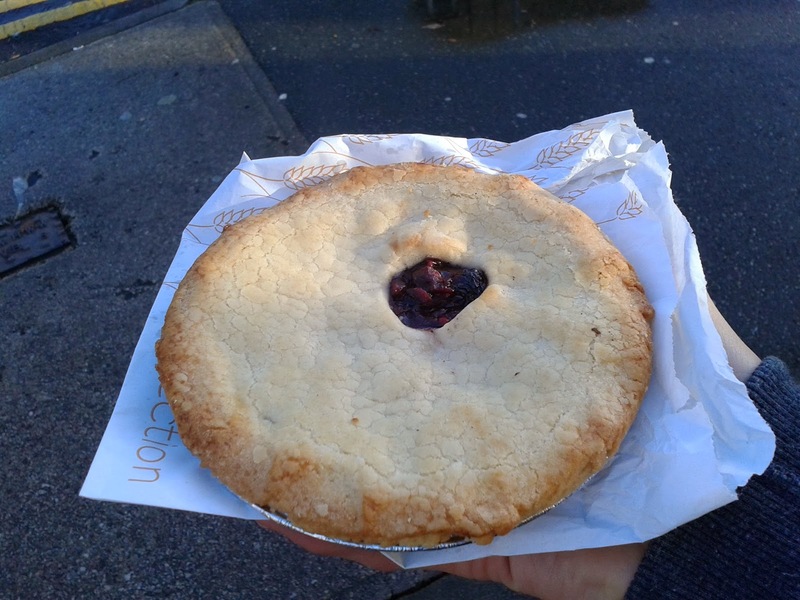 However, this pie does seem fairly small compared to some Scotch Pies. It has quite a decent Condition although verging on looking too handmade with quite a wonky lid. The Colour is varied, golden in places but anaemic in others. Biting into this pie I found the pastry to be excellent. It was lovely and crisp on the outside and softer on the inside which made each bite feel really satisfying. The Content was less seasoned than some, especially compared to JB Christie down the road. 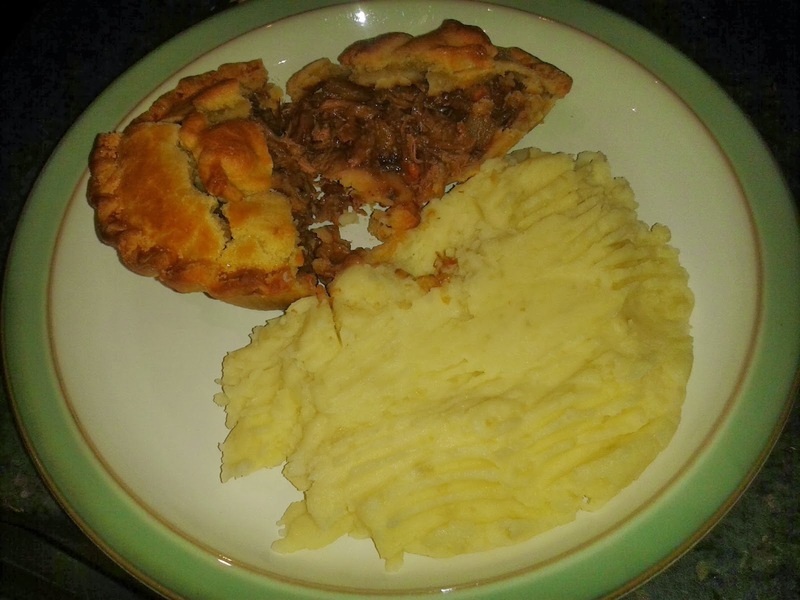 This was a beef version so avoided the fat of a mutton pie. It tasted nice, however, it was a little mushy so missed the optimum texture. 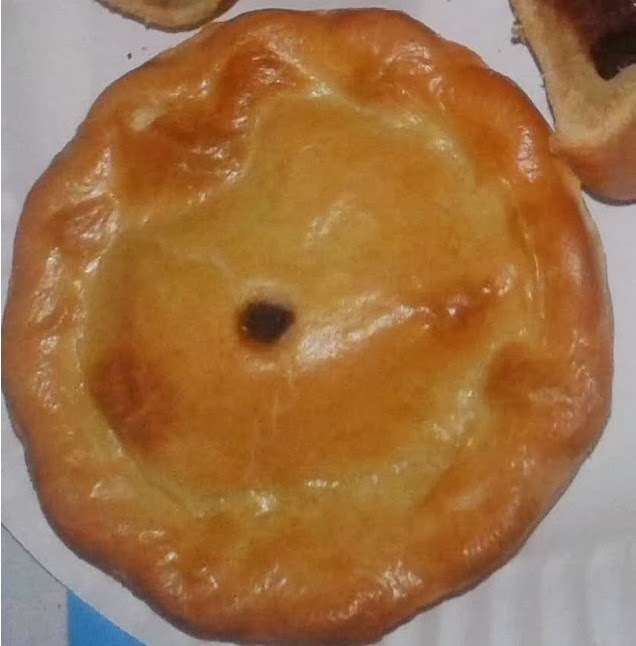 There could also have been a bit more of it, while the Capacity of the pie was acceptable, there was a bit too much air in the pie for me. 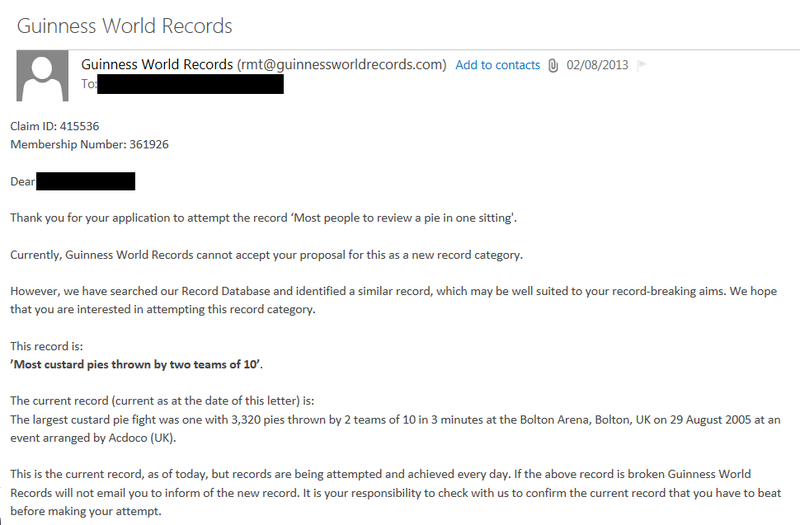 Overall, a decent effort from Bon Bon, although they are a way off from the standard of more recent world champions. continue reading "Bon Bon Ap-PIE-tite"
continue reading "Morecambe FC - We Ate All The Pies!"